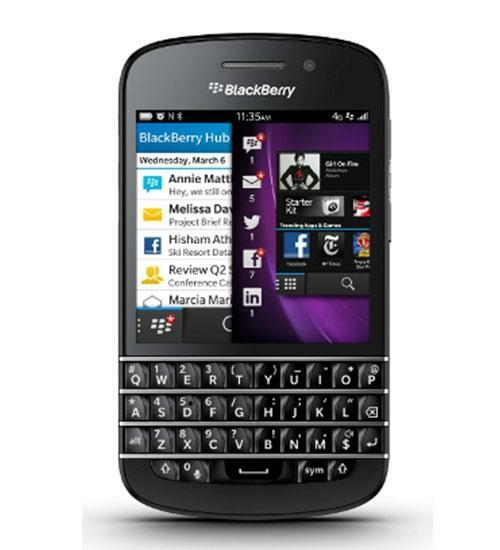 The BlackBerry Q10 is the newest BlackBerry handset that features a physical QWERTY keyboard. In addition, the BlackBerry Q10 features a 3.1-inch touchscreen display, 8-megapixel rear-facing camera with 1080p HD video recording capability, 2-megapixel front-facing camera that can record up to 720p HD video, 16GB of internal storage space, expandable memory up to 64GB, NFC, 4G LTE, removable battery, and more. The BlackBerry Q10 runs the newest version of the BlackBerry 10 OS. 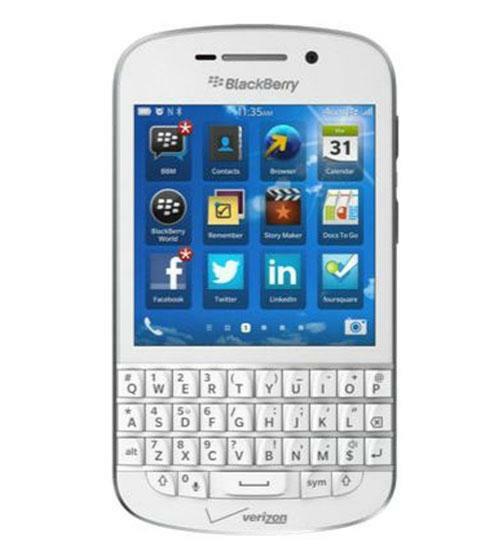 The BlackBerry Q10 smartphone for Verizon Wireless features the popular 4-row QWERTY keyboard for a smooth and fast typing experience. The physical keyboard and fantastic looking 3.1-inch touchscreen allows you to enjoy sending emails,surfing the web, and responding to text messages. Ergonomically sculpted, the BlackBerry Q10 smartphone is simply designed to help you get more done more easily. Peek into your BlackBerry Hub message center without leaving your current application, and you can multitask seamlessly too. The 8 megapixel camera/camcorder can record video and capture photos that you'll love to share with friends and family. Use the 2 megapixel front camera and the new video chat feature inside the BlackBerry messenger app to stay connected with friends around the world. The BlackBerry Q10 smartphone for Verizon Wireless is built to help you manage both your personal and business life anytime, anywhere. BlackBerry Z10 and Q10 announced! We're hot off the heels of the BlackBerry 10 event, where they released the Z10 and the Q10.